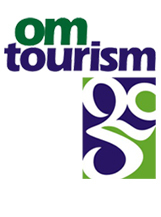 While Om Tourism will make every effort to maintain up-to-date and accurate information on the Site, visitors should be aware that Om Tourism accepts no responsibility for the accuracy or completeness of any material contained on the Site and recommends that visitors exercise their own care, discretion and judgment with respect to its use. Om Tourism Pvt. Ltd. (referred to as “Om Tourism,” "we," "us," or "our" herein) uses its best efforts to respect the privacy of its on-line visitors. Om Tourism Pvt. Ltd. includes its divisions and subsidiaries. We work to ensure that the personal identification information You do intentionally provide us remains private. We will not sell, rent, or trade the personal identification information You provide to anyone outside Om Tourism, unless we are required to do so by law. Please be aware, however, that it may be possible for others to read messages that You send over the Internet, you are therefore advised not to send any such information by electronic communication that You would like to keep confidential. This Site is owned and operated by Om Tourism Pvt. 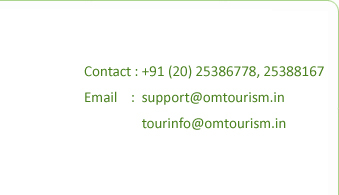 Ltd and features trademarks, copyrights and other intellectual property which are the property of Om Tourism Pvt. Ltd, its divisions, affiliates or subsidiaries. You agree that You will not display the Om Tourism Marks or other third party trademarks, or use the Om Tourism Marks or other third party trademarks in any manner, without the prior written permission of Om Tourism or the respective owners of other third party marks. Except as specifically permitted in accordance with the Terms and Conditions governing use of this Site, any use of Om Tourism or other third party trademarks or trade names found on the Site is strictly prohibited without the express written permission of their respective owners. (b) the contents available through the Site or any functions associated therewith will be uninterrupted or error-free, or that defects will be corrected or that the Site and the server is and will be free of all viruses and/or other harmful elements. Om Tourism shall also not be liable for any damage or loss of any kind, howsoever caused as a result (direct or indirect) of the use of the Site, including but not limited to any damage or loss suffered as a result of reliance on the contents contained in or available from the Site. This Site may include links to other websites operated by parties other than Om Tourism. Om Tourism is not responsible and assumes no responsibility for the contents of any non Om Tourism linked Internet website, or for any potential damage arising out of or in connection with the use of any such link. The Internet websites to which links are provided in this Site are not under the control of Om Tourism Search. Access to any other Internet sites linked to the Site is entirely at the user's own risk. All links to other web sites are provided as a convenience to the user of the Site. In no circumstances shall Om Tourism be considered to be associated or affiliated in whatever manner with any trade or service marks, logos, insignia or other devices used or appearing on web sites to which the Site is linked and shall not be held responsible in any manner whatsoever for use of the said web sites. 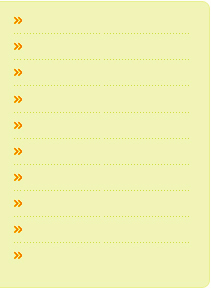 These Terms and Conditions remain in effect for all use made of this Site unless specifically terminated by Om Tourism. Om Tourism may amend or terminate these Terms and Conditions at any time for any reason, with or without notice. Upon termination, You must destroy all materials obtained from this Site and all copies made thereof. These Terms and Conditions shall be governed by and construed in accordance with Law of India, regardless of where the user is based. You agree that any action at law or in equity arising out of or relating to these Terms and Conditions shall be filed only in the courts at pune, and You hereby consent and submit to the personal jurisdiction of such courts for the purposes of litigating any such action. If any provision of these Terms and Conditions shall be unlawful, void, or for any reason unenforceable, then that provision shall be deemed severable from these Terms and Conditions and shall not affect the validity and enforceability of any remaining provisions. Om Tourism can revise these Terms and Conditions at any time by updating this posting.